Born in 1956. 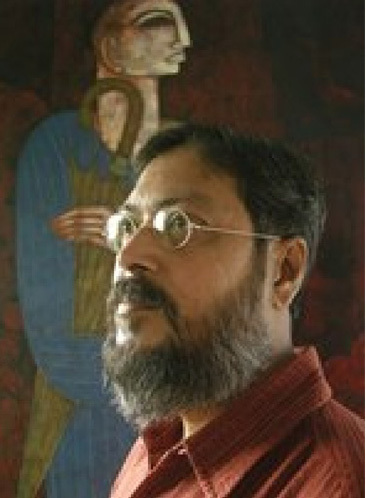 Biswajit Mondal graduated from Indian College of Arts & Draftsmanship in Fine Arts under Rabindra Bharti University Kolkata in 1981. The central protaganist in most of his works is the "Joker" usually represented in the style of a puppet against the bacdrop of a city scape executed in great detail. Perhaps a relection on life and our own ability to control our destinies or simply a commentary on societal roles and sterotypes, Biswajit's works are both thoughtproving as well as aesthetic.